Most homeowners ask the question: do you really need rain gutters? While they might look negligible on the outside, rain gutters do plenty of work for your home. They gather the heavy rainfall from the slope of your room. Then, they send this water to your downspout right into the sewage or river system for proper disposal. For some homes, they gather the downspout water in a single container for later use in gardening and other watering activities. However, why would you bother spending hundreds on a system that seems to achieve small feats? As a matter of fact, the activity above prevents the following from happening to your home. Do you really need rain gutters to prevent soil erosion? Yes, you do. Imagine the flow of water from the slope of your roof hitting the soil of your yard at an angle. Then, consider this scenario repeating every few weeks as rain starts to fall. You will notice that the soil has started to move and pile in a different direction. Water causes erosion, and it can destroy the aesthetics of your yard or garden. The best way to prevent this from happening is to install a gutter system. In this way, water won’t flow directly into your yard. The roof of your home is made from asphalt, clay, slate, or other materials. Over time, granules of these materials wash away due to the rain and natural erosion. If the rainwater on your roof flows freely and drips against your siding, the sediments will create rustic or brown stains. Dirty sidings are common for homes with poorly-functioning gutters as well. Do you really need rain gutters to fix this? You definitely do. Gutters will prevent water containing eroded roofing material and debris from staining your sidings. In this way, you keep your home beautiful and have a sustained curb appeal. Gutter systems are essential in protecting the foundations of your home. When water flows into your yard, it will not only erode the soil. The consistent moisture of the soil will weaken the foundations of your home. Concrete is a mixture that hardens once builders finish applying them in your home. However, its continuous exposure to moisture will allow water to permeate its material. Most concrete in residential foundations have no special coating that prevents soil water from pushing and permeating. However, with an effective gutter system, you will not need any special concrete coating at all. Do you really need rain gutters to protect residential property foundations? Definitely. Owners of residential properties with flat roofs need an excellent gutter system to prevent ponding. This is a common occurrence with seriously damaging consequences if homeowners leave it unattended. Ponded water will place roofing materials under great duress. Over time, the ponded water will penetrate the material and cause leaks and damages beyond repair. A good slope on flat roofs directed towards a gutter system will prevent this from happening. A small investment in this tiny system will prevent any roof damages and prolong the lifespan of your roof and the property as a whole. Do you really need rain gutters? For all these benefits, you definitely do. Manufacturers build seamless gutters from a single material that contractors cut or bend during installation. These gutters can run the entire length of your home and have no seams. Roofers typically recommend seamless gutters because they virtually introduce no leaks. 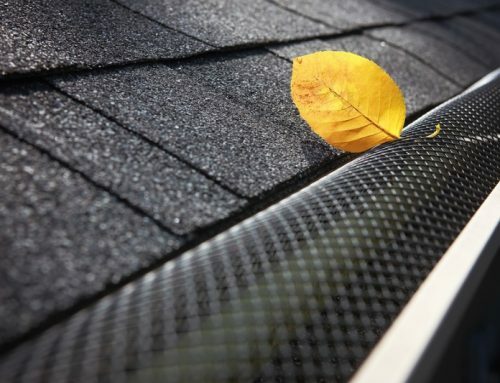 In addition, they reduce the debris amount if you use them with effective gutter protectors. 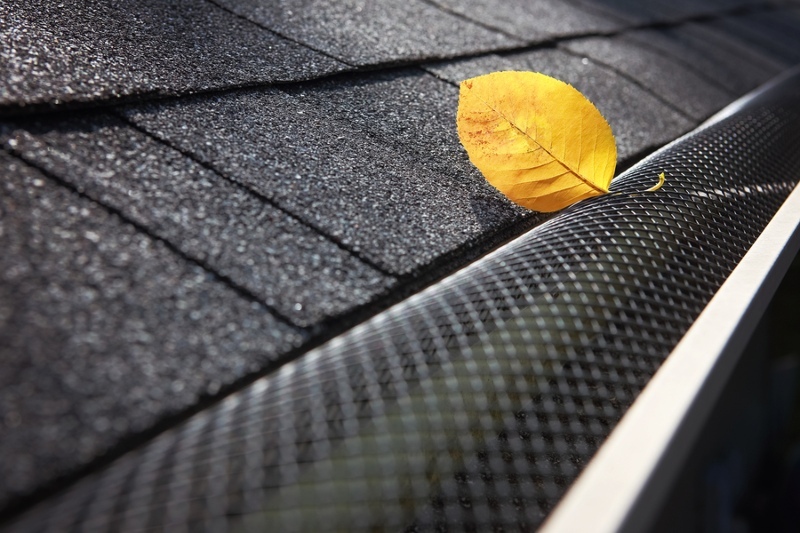 Investing in these preventative systems leads to less gutter system maintenance. However, it doesn’t hurt to check up on its condition on a monthly basis. Most homeowners choose these gutters because of their aesthetic appeal. K-style gutters are made from different materials. They are widely used in plenty of American homes. Manufacturers sell sectional gutters in factory-cut set pieces. Unlike seamless gutters that connect smoothly without any attachment required, sectional gutters connect through a “snap” system or adhesive. The advantage of using sectional gutters is they are easier to install and repair when they begin to sag compared to seamless gutters. If only a part of the gutter system is damaged, then you can remove this section and replace it with a new one easily. In addition, they are affordable. On the other hand, they are prone for leaking and having a shorter lifespan than seamless gutters. Do You Really Need Rain Gutters and Different Styles? Different gutter styles exude a different aesthetic for every home. 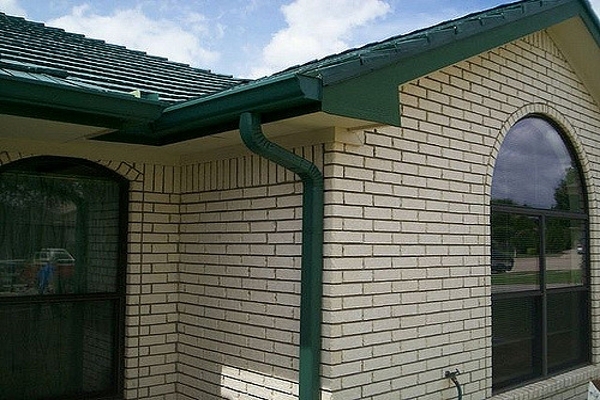 Therefore, it does matter to know which rain gutter style works for your home. The earliest gutters on residential properties during the 18th and 19th centuries were half-round gutters. They have a “U” shape with a small curve on the outward-facing panel. 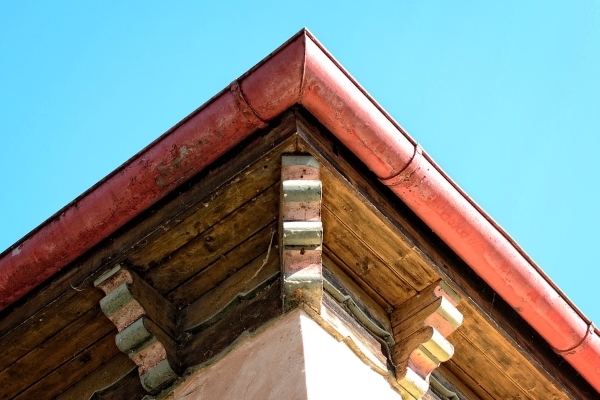 Half-round gutter styles during the early centuries were handmade. Manufacturers of modern gutters of this style continue the handmade aesthetic in creating them. While they will complement the curb appeal of your home, half-round gutters have no additional advantages. They are more expensive and complicated to install compared to other roofing materials. Do you really need rain gutters with cheap prices? Then K-style gutters are for you. 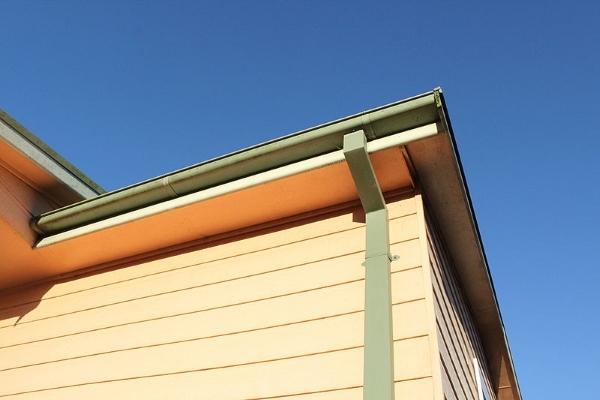 Almost every American home has a K-style gutter because they are affordable. Additionally, they are easy and quick to install. Despite their cheaper price compared to half-round gutters, K-style gutters are much more durable. They withstand debris efficiently and are less likely to bend. As a result, they can hold more water and drain it efficiently where needed. K-style gutters come in aluminum, copper, galvanized steel, and vinyl. 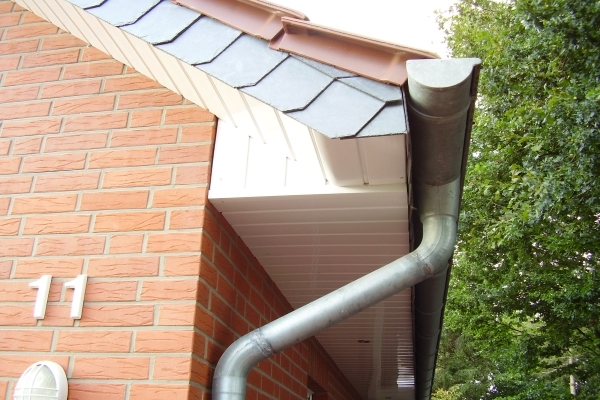 The fascia gutter system is designed to handle extreme and rapid torrents of rainwater. Fascia gutters are larger than K-style gutters and perform twice as well than the latter. Its design focuses on handling massive rainwater from roofs. Its name comes from its installation process. Contractors attach fascia gutters directly onto the namesake board between your gutter and the exterior wall. This gives them better security and prevents possible leaks. Additionally, if contractors install them effectively, they can handle even the strongest and sudden rushes of rainwater. Half round gutter systems give your home an excellent aesthetic. However, they are expensive and costly to install. Do you really need rain gutters for your home? Absolutely. If you don’t have rain gutters, then you reduce the lifespan of your property. Without a gutter system, you also reduce the curb appeal of your home. To make sure your gutter system works effectively, only use your trusted roofing contractors when installing new roofs.